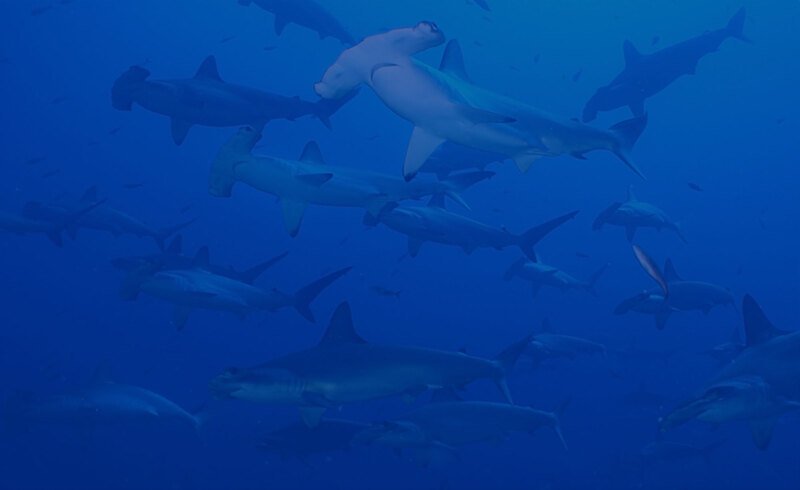 There are a number of organisations that seek to protect and conserve the delicate marine environment surrounding the Galapagos Islands. As well as monitoring the various species that live in the marine reserve, it is very important to work together with the people who depend on the sea to survive and make money, such as fishermen. For the future of Galapagos, it is important that the fishing industry be as sustainable as possible. For fishing to be sustainable, fishermen should be able to catch enough fish to make a living from, but not catch so many fish that the fish population is negatively affected. Catching too many fish is called overfishing. Without scientific research, it can be hard for fishermen to know if they are overfishing in an area. 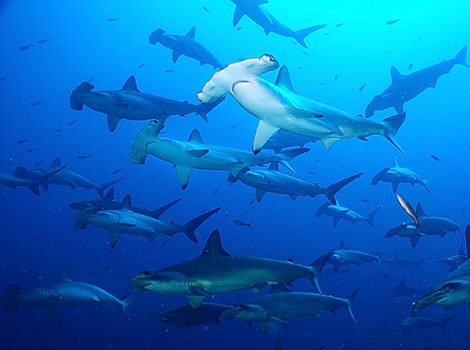 Some species such as the Scalloped Hammerhead Shark (which are fished for their fins) and the Brown Sea Cucumber in the Galapagos Islands have been seriously overfished and are now considered vulnerable or endangered. These two species can be sold for a lot of money, which makes them in demand. While they live in the protected waters of the Galapagos Marine Reserve, the area of the reserve is so large that patrolling and monitoring it is very difficult and expensive. How is the Marine Reserve trying to stop overfishing? Since 2009, the World Wide Fund for Nature (WWF) has used satellite surveillance systems to track the routes and activities of fishing vessels and to check whether they are overfishing in one area. It provides GPS information that helps identify fishermen in protected waters. WWF also promote different and more sustainable fishing methods, such as the use of hooks rather than nets. Fishermen have been encouraged to value fish quality over fish quantity to try to reduce overfishing. For example, they have been asked to consider supplying local restaurants with whole live lobsters (which sell for a higher price) rather than just large quantities of their tails. Marine Zones have been created around the Galapagos Islands which allow different sets of activities depending on where they are placed. This can mean that both conservation and commercial fishing can take place. When litter and dumped materials start to pile up on the beach, this can be devastating for the marine environment. Plastic bags left in the water can confuse animals such as turtles who may try to feed on them, causing the animal to choke. As some materials rot and decompose in the water, chemicals can be released which pollute the shorelines. Rubbish can get wrapped around the roots of mangroves, restricting their growth. 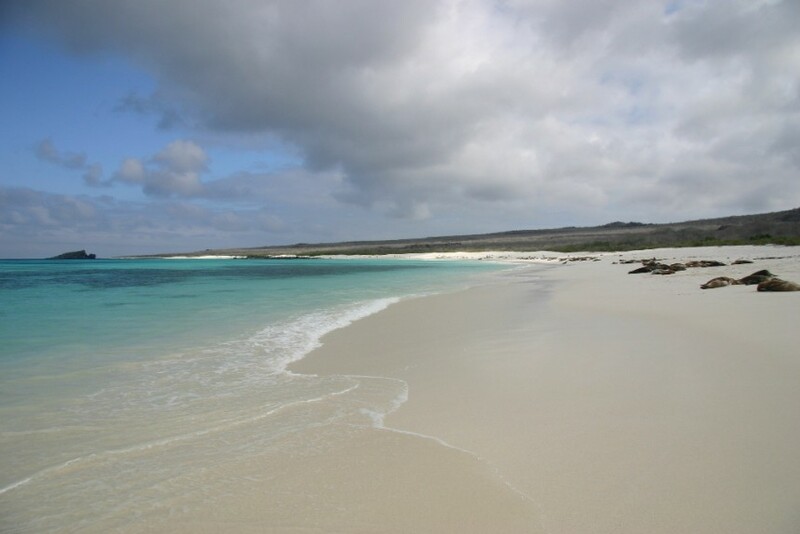 To try to reduce the damage that littering can cause, the Galapagos Marine Reserve teamed up with Fundacion Galapagos to sponsor a day of beach cleaning under the International Coastal Clean Up campaign. This is now an annual event and has removed over 85,000kg of rubbish from shores, mangroves and underwater areas so far. Fishermen from Baltra and Santa Cruz Islands have also been given incentives to collect underwater debris and rubbish on their boats. These events not only clean up the areas that most need it but also raise awareness about littering to tourists and the local community.